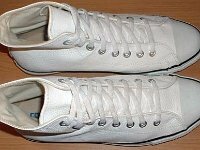 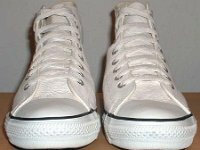 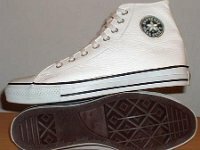 Photo gallery of white leather jewel high top chucks. 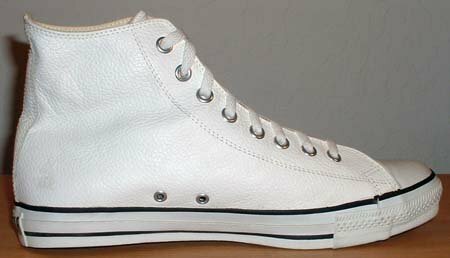 1 White Leather Jewel High Top Chucks Right white leather jewel high top, inside view. 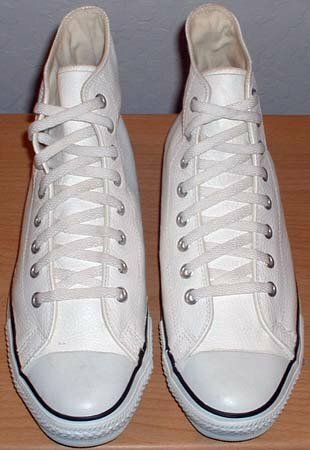 2 White Leather Jewel High Top Chucks Right white leather jewel high top, outside view. 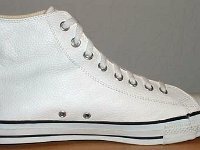 3 White Leather Jewel High Top Chucks Left white leather jewel high top, outside view. 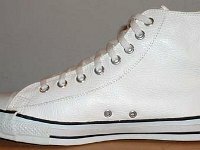 4 White Leather Jewel High Top Chucks Left white leather jewel high top, inside view. 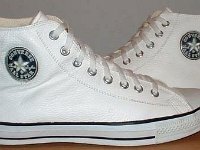 5 White Leather Jewel High Top Chucks White leather jewel high tops, rear view. 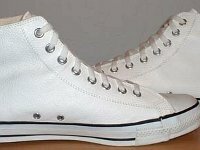 6 White Leather Jewel High Top Chucks White leather jewel high tops, front view. 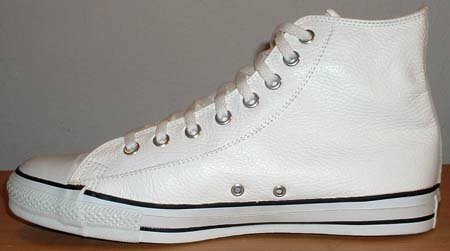 7 White Leather Jewel High Top Chucks White leather jewel high tops, front to top view. 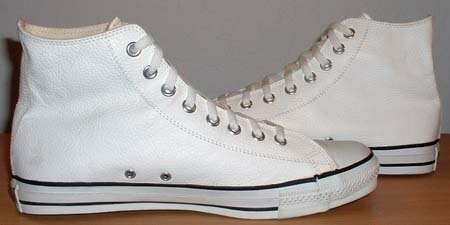 8 White Leather Jewel High Top Chucks White leather jewel high tops, top view. 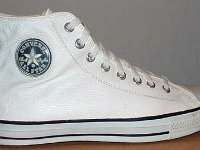 9 White Leather Jewel High Top Chucks White leather jewel high tops, outside patch views. 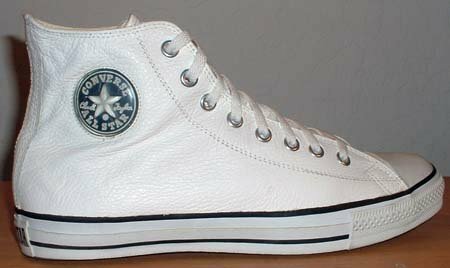 10 White Leather Jewel High Top Chucks White leather jewel high tops, inside views. 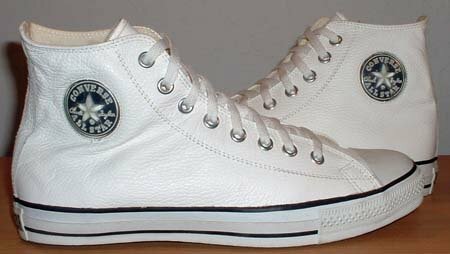 11 White Leather Jewel High Top Chucks White leather jewel high tops, outside patch and sole views. 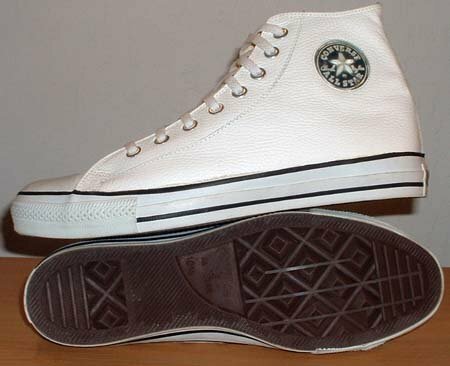 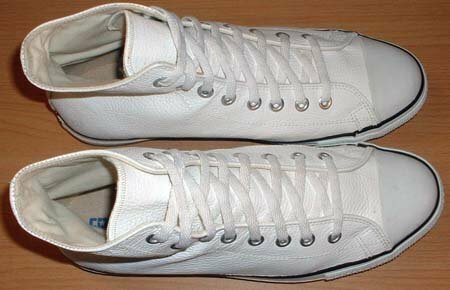 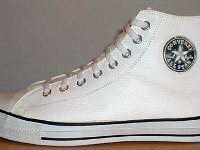 Leather Jewel high top chucks were a unique version of the Chuck Taylor shoe manufactured briefly in the late 1990s. 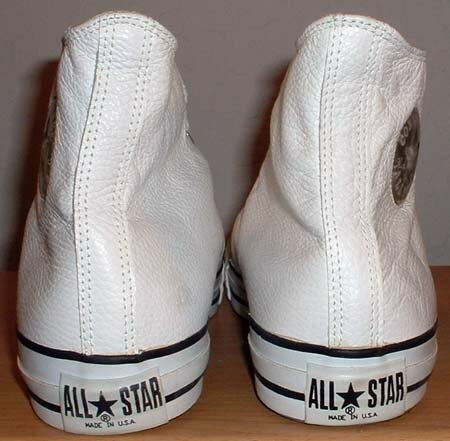 They were made in the USA and had a unique 3-D plastic "jewel" side patch which was placed on the outside of each shoe rather than on the inside, like every other Chuck Taylor model. 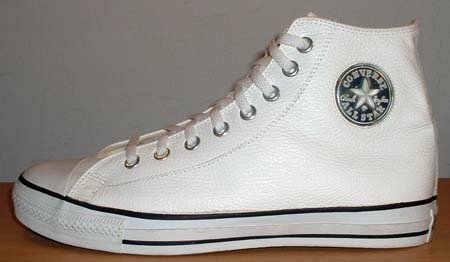 This was the only time that Converse ever reversed the side patch location. 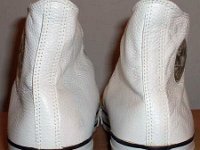 Jewels were made in black glove leather and white grain leather. 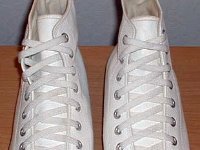 The shoes came with white laces and the traditional brown outer soles. 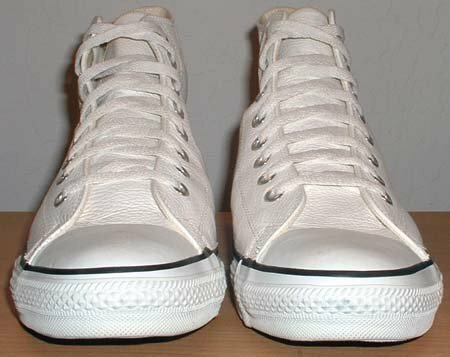 See also the Leather Chucks gallery.